PACOM, which designs, develops, and manufactures security platforms for enterprise multi-site and campus environments announces the company’s line-up of new solutions to be showcased at the upcoming ISC West tradeshow in Las Vegas, 10-12 April, 2019. Joining together with 3xLOGIC for the first time at the 2019 show, PACOM is pioneering with its most recent innovation, VIGIL Video Integration. PACOM can now intelligently leverage the full range of VIGIL video products for the purpose of alarm verification. This offers customers the opportunity to install a completely integrated solution providing access control, intrusion detection, and video verification all in one elegant solution. Security Management Platform This new offering is highly suitable for access control applications that require seamlessly-integrated intrusion detection and video verification. Other PACOM product highlights on display include, GMS Multi-Site Security Management Software. GMS meets end user demands for a multi-site security system with multiple integrations GMS is the perfect multi-site security management platform, providing integration between access control, intrusion, video, intercom, and virtually any building management or security solution. Designed to manage thousands of locations simultaneously through a single interface, while providing industry availability and redundancy. GMS meets end user demands for a multi-site security system with multiple integrations, which can be managed through a single interface simultaneously for an unlimited number of locations. Access Control Applications 8003 Hybrid Access and Intrusion Controller is an intelligent, IP-enabled hybrid security controller designed for advanced access control and full intrusion detection. The 8003 can support up to 8 doors/16 readers and 96 supervised inputs. Combined with dual-channel reporting and distributed intelligence, it is the perfect choice for advanced access control applications requiring a full intrusion detection system. 8603 Intelligent IP Card Reader Interface is an IP-based two door controller providing unparalleled security and flexibility for access control systems. This PACOM solution meets the demand for access control applications that require IP connectivity and the use of high-security OSDP-compliant readers. To view the full range of PACOM and 3xLOGIC solutions and to receive any one of many available product demonstrations, please visit the 3xLOGIC/PACOM booth #30064 during ISC West, April 10-12, 2019, at the Sands Expo, Las Vegas, NV. ISC West is the largest converged security industry trade show in the US, with over 30,000 security professionals in attendance and more than 1,000 Exhibitors and Brands. Identiv, Inc. announces that it will present its recently expanded Internet of Things (IoT) product portfolio at ISC West 2019, encompassing a wide range of physical and logical access control, video and data analytics, door readers, identity cards, visitor management, mobile security, telephone entry, and radio-frequency identification (RFID) and near-field communication (NFC) solutions for physical and IT-secured businesses. Identiv will be showcasing demos of its complete portfolio of high-performance IoT solutions for government, banking, healthcare, critical infrastructure, retail, and other industries at ISC West 2019, booth L13. Newly Acquired And Developed Solutions The company will have some of its newly acquired and developed solutions on display, including: Enterphone integrates with Freedom and Liberty and will be introduced to the U.S. market for the first time at ISC West Web/Cloud and IoT-Based Architecture - Newly acquired Freedom and Liberty Access Control product lines provide cloud-based, frictionless, cyber-secure access control. Freedom’s software-defined platform and new mobile app enable IoT-driven access control for enterprises and governments. 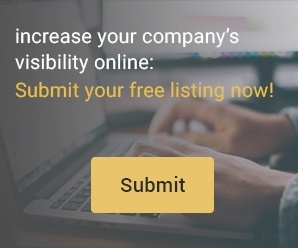 Liberty provides an entry-level, web-based scalable solution for small-to-medium businesses (SMBs). Video and Data Analytics - 3VR by Identiv’s video intelligence solutions provide a single platform for real-time security, analytics, and consumer insights, allowing organizations to protect their employees, customers, and assets, as well as enhance store operations and shopping experiences. 3VR is now fully integrated with Hirsch Velocity. Mobile Security - Thursby by Identiv software solutions provide strong government-grade security for government agency, enterprise, and personal mobility, supporting bring-your-own-device (BYOD) and two-factor authentication (2FA) on mobile devices. Access Control - Identiv’s new Hirsch Mx-1-ME (Metal Enclosure) Controller manages a single fully supervised door for controlled entry and exit at the edge and is protected by a metal enclosure with battery backup and power supply. Phone Entry - Over two million tenants in 35,000 installations within residential and mixed-use properties depend on the Enterphone by Identiv telephone entry system for secure visitor access. Enterphone integrates with Freedom and Liberty and will be introduced to the U.S. market for the first time at ISC West. Secure IoT Tags - Identiv’s high-frequency (HF) and ultra high-frequency (UHF) transponders bring smart identities and security to the IoT, digitising and enabling high-growth applications, like medical devices, athletic apparel, and pharmaceuticals. Identiv’s new Tamper Detection NTAG 424 DNA Tag strengthens IoT security for anti-counterfeiting, document authentication, supply chain traceability, data access, and customer engagement. Physical Security Industry This year, join Mark Allen, General Manager, Physical Access Systems at Identiv, Mark Duato, Executive Vice President of Aftermarket Solutions at ASSA ABLOY Door Security Solutions (DSS), and Joe White, President at A-1 Lock, as they present “In Between the Lock and Controller: Why Wireless Locks Are Changing the Game in Access Control” during ISC West on 11th April, 2019, 11:00 AM – 12 PM (IST). The International Security Conference and Exposition — also known as ISC West — is the largest event in the U.S. for the physical security industry, covering access control, alarms and monitoring, biometrics, IP security, video surveillance/CCTV, networked security products, and more. Dortronics, a pioneer in off-the-shelf and customized door control solutions, is showcasing its 4800 Series Intelligent Interlock Controllers here at ISC West 2019 (booth #1037). The newly enhanced controllers offer an abundance of features providing installers with a higher degree of versatility to meet customers’ specific needs. “Our enhanced line of door interlock controllers are a one board solution that allows the installer complete control of all operating and configuration options without complex software,” said John Fitzpatrick, President of Dortronics Systems, Inc. “This provides installers and end users with an efficient and easy-to-use access control solution.” Control Door Locks The 4800 Series Door Interlock Controller accommodates up to five doors, including doors with automatic openers. The unit features adjustable timers for propped door time, panic release unlock time, and unlock pause time for REX unlock time. Additional features include 12 inputs for door status, request for access, interlock override and emergency unlock. The unit’s 17 outputs control door locks (fail-safe or fail-secure), traffic lights and mirror door status with alarm outputs. Additional features include a watchdog circuit to monitor operation, LED input/output status indication and voltage spike/surge protection. The 4800 Series is available as a controller board only or with a 4-amp Class 2 UL 294 power supply. There is a new event on the calendar for the security industry in 2019: The Security Event 2019, 9-11 April, at NEC, Birmingham. For additional details and a preview of the new trade show and conference, we spoke with Tristan Norman, Founding Partner and Event Director, The Security Event. Q: It seems recently that some trade shows have been on the decline in terms of exhibit size and attendance. Why does the physical security industry need another trade show? Norman: I think there are numerous factors that play into the decline of trade shows in general and not something that is limited to the security industry. Those events that are suffering are no longer serving their target market or have failed to adapt to the changes in the industry they serve.However, what we are seeing now is the rise of focused, more “evolved” trade events which fulfill a gap in the industry event calendar and provide something new and fresh to a disillusioned audience. Q: What will be unique about The Security Event, and what role will it serve in bringing together buyers and sellers in the market? Where (geographically) will attendees come from?What we are seeing is a rise of trade events which provide something fresh to a disillusioned audience Norman: The driving ethos behind The Security Event is that we are “designed by the industry, for the industry.” We were able to start with a blank canvas and take on board all the feedback from stakeholders throughout the security buying chain and create an event that is sustainable and fit for purpose. We see the role of the event as a very important one – to truly reconnect the currently fragmented UK commercial security industry, back at the NEC in Birmingham. We had originally anticipated that this would be an almost-exclusively UK event in year one. However, we have seen significant interest from potential visitors from across the wider EMEA region who are keen to do business in the UK. We formed a strategic alliance with Security Essen to help facilitate and strengthen our reach in these regions through additional marketing and PR activities. Consequently, early registrations indicate that it will be approximately an 80% UK and 20% international split. Q: What conference programming is being planned to augment the trade show event? Norman: Content will be delivered across three focused theaters, serving the needs of our audience throughout the buying chain. Emphasis will be placed on the latest technology innovations impacting the industry, practical advice on the most pressing issues facing security technicians, and important industry updates and insights. All sessions are focused on delivering tangible benefits to ensure professionals are equipped to stay relevant and to grow their business and we’re excited to be working with key industry bodies, innovators and experts to deliver the program. We look forward to announcing those in coming weeks. Exhibitors want to re-engage with the thousands of industry colleagues who no longer attend other events on offer Q: Comparisons to IFSEC are inevitable. How will The Security Event be different than the IFSEC Security and Fire shows? What are the advantages of locating at Birmingham NEC? Norman: Both The Security Event and The Fire Safety Event, based at the NEC are completely different to any other trade show in the UK. 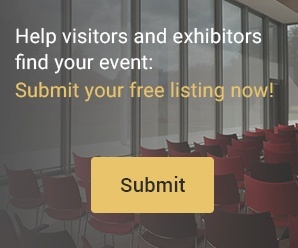 We pride ourselves in creating a business platform that puts the exhibitors’ needs first, by limiting the size of stands and total number of exhibitors as well as creating a comprehensive CPD accredited educational program for the visitors. Q: Which big industry players are supporting the launch of The Security Event, and what feedback are you hearing in terms of why they signed up at the show's inception? If a global manufacturer has a footprint in both the US and Europe, any tradeshow will be managed locally Norman: Our founding partners are Assa Abloy, Avigilon, Anixter, Comelit, Dahua, Honeywell, TDSi, Texecom, Tyco and Videcon. The full list of exhibitors and supporting partners can be found on our website. The reasons why they have signed up are very simple. They all see the exact same gap in the industry event landscape as we do. We believe there is a need for a 3-day channel focused commercial security exhibition based at The NEC in Birmingham. Our exhibitors want to re-engage with the thousands of industry colleagues who no longer attend the other events on offer. Q: Your 2019 show will be the same week as ISC West in Las Vegas. Do you think the competitive calendar will be a factor? Norman: In terms of our both our audience and our exhibiting base there is very little overlap with ISC West. Generally, if a global manufacturer has a footprint in both the US and Europe, any tradeshow will be managed locally so we haven’t observed any issues so far. We do acknowledge that having two shows at the same time globally isn’t ideal and we have moved our dates in 2020 to the 28-30 April to mitigate this going forward. The Security Event 2020 will not clash with Las Vegas' ISC West 2020 as it will in 2019, says Norman Q: How will you measure success in the first year of the show? What measurements (show size, number of attendees, exhibitor feedback, etc.) will constitute a "successful" first year for the show?The Security Event will continue to evolve year after year, but will intent to stay true to the event's original concept Norman: Great question – the most important barometer of success for me and the team next April is the general industry reaction, after all, this show was created for them. Furthermore, it is vital to us that our exhibitors feel they have achieved their objectives for the show, whether it be quality, quantity of leads or raising awareness of a new product launch. We’ll also be keen to understand how satisfied visitors are with the event, including their views of the content, access to new products/services, effectiveness of the out of hours networking, etc. We are anticipating 6,000 visitors over the 3 days and I believe if we achieve this goal, we will have a strong rebooking on site, laying a great foundation for our 2020 event. Q: How would you expect/hope the show would continue to evolve in coming years? Norman: I hope over the next few years The Security Event cements itself as the industry’s favorite trade show and that exhibitors and visitors alike look forward to every year for both the business opportunities at the event and the networking outside of it. The Security Event will continue to evolve year after year, but I am determined that we stay true to our original concept and the principles on which the show was founded. After all, it is this formula that has proved to be so popular to date. Maxxess eFusion technology is being used to provide seamless integration and easy management of security, safety and site management systems at Bluewaters Island, Dubai. Maxxess eFusion Technology The region’s newest tourism hotspot, Bluewaters opened in November 2018 and is expected to attract more than 3 million visitors every year. The US$ 1.6bn project was completed by Meraas Holdings over five years and comprises four luxury residential complexes, a landmark Caesars Palace hotel, a shopping mall and the world’s largest observation wheel, Ain Dubai, as its centerpiece. Security And Safety Integration Bluewaters’ management wanted to find the most efficient way to integrate all security, safety and building management functions into one easy operating system Bluewaters’ management wanted to find the most efficient way to integrate all security, safety and building management functions into one easy operating system, with particular emphasis on a solution that would be efficient to use, inexpensive to maintain and robust going forwards Following a sector comparison, Maxxess eFusion technology was identified as providing the best fit. Security Management Platform The eFusion security management platform was chosen instead of a more costly or complex conventional PSIM solution, because it uses versatile, open-technology software. Omnix International, one of the leading integrators brought in for the project, says eFusion proved particularly straightforward to work with, offering the advantages of a modular, building block approach and allowing maximum freedom to integrate, customize and adapt to future needs. “Thanks to its compatibility with leading surveillance, intruder, access and fire detection systems, eFusion proved to be a highly efficient integration technology for the Bluewater project,” says Mr. Henry Azoury, Senior Security Design and Engineering Manager at Omnix International. ASSA ABLOY Hospitality System The eFusion platform at Bluewaters includes full integration with an ASSA ABLOY Hospitality system The eFusion platform at Bluewaters includes full integration with an ASSA ABLOY Hospitality system. It allows a unified system approach, with a single enrolment protocol for both front- and back-of-house access. The solution enables centralized management of room safes, mini-bars and cupboards, and for control of all alarm transactions. eFusion integration with the Zenitel Stantaphone IP Intercom System ensures that video and transaction data is called-up automatically in the Bluewaters control room as soon as any user press a call button. For maximum efficiency, the system allows the operator to unlock doors and communicate with the user remotely, with full activity logs kept for audit. With easy integration to the SeeTec Video Management System, eFusion also allows seamless control of all cameras. In addition, cameras are linked to the door access system, with video pop-up triggered by pre-defined events. The solution also gives the operators complete PTZ control, playback and video functionality. ID badging Integration ID badging and building management systems are also fully integrated, allowing easy operation and control of a wide range of functions including heating, ventilation and air conditioning. The eFusion platform is based on technology that delivers robust, reliable performance" “For maximum efficiency there is no need to switch between different management systems and the eFusion platform is easy to work with, allowing full benefit from integration with individual systems,” says Lee Copland, Managing Director EMEA, Maxxess. eFusion At Intersec 2019 “The eFusion platform is based on technology that delivers robust, reliable performance, as well as being fully scalable as needs change the future. We look forward to our continued work with Omnix International, which is providing the world-class specialist engineering services combined with local, customized support that customers value.” To see Maxxess solutions in action come to Intersec 2019 on stand SA-H12.